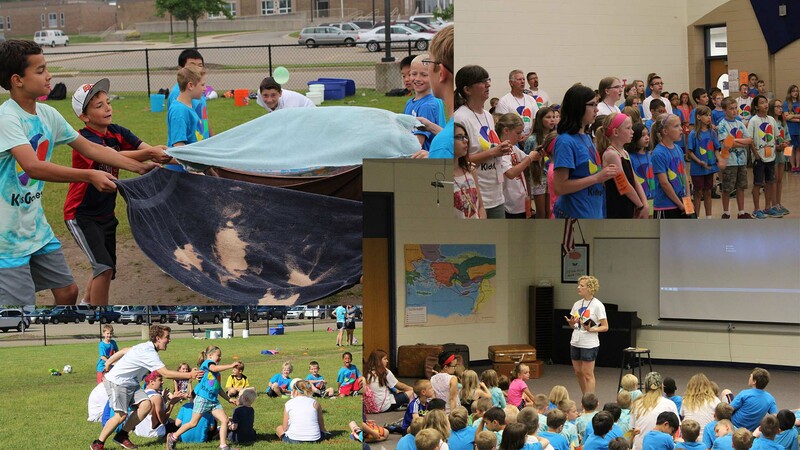 KidsGames is an annual program in June, which teaches over 400 kids the power of Christ in our lives and teaches kids the importance of understanding Christ. 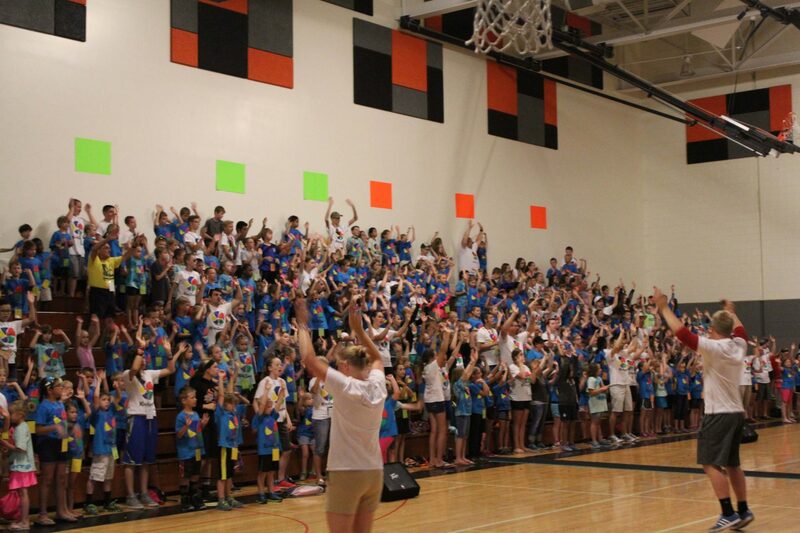 Each year it is normally held at Nickels Intermediate School in Byron Center. This year it will be at Bicentennial Park in Byron Center behind town hall. Everyone in grades 1st thru 6th is welcome to join. Each year we have over 130 youth and adult volunteers. The 2018 KidsGames will be held on Monday, June 18 and go thru Friday, June 22. Thursday after KidsGames, the local fire station will be coming with their truck to cover the field with water for the kids to run through. On Friday we will have a celebration of the past week to share with the community what the kids have learned about God and new skills that they have learned during track time. If you are interested in sending your son/daughter this year, or volunteer please go to kidsgamesregistration.com/nickels. We would love to have you join us this year! 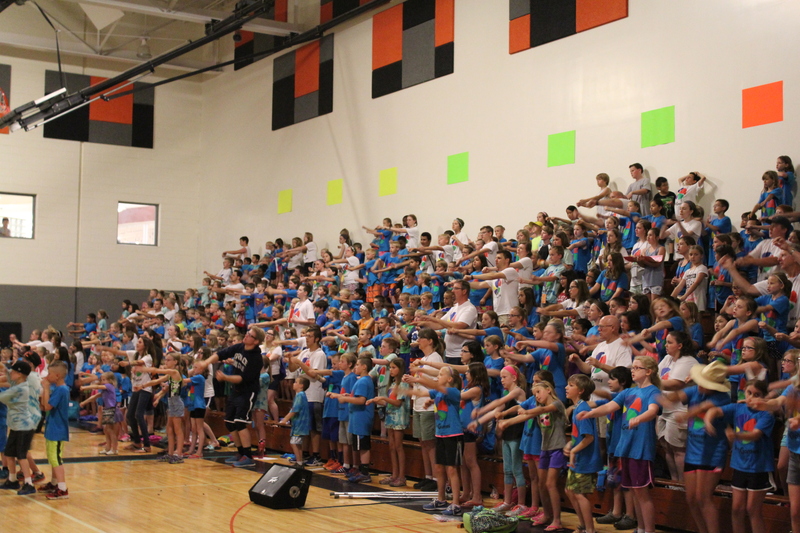 At 9am we begin our day in the Gym singing songs, announcements, and perform skits. We are usually in there for about a half hour. After our morning in the gym we will divide into our small groups and then divide the groups into three stations. Each day the kids get to play games like, tag, duck duck goose, obstacle courses, etc. 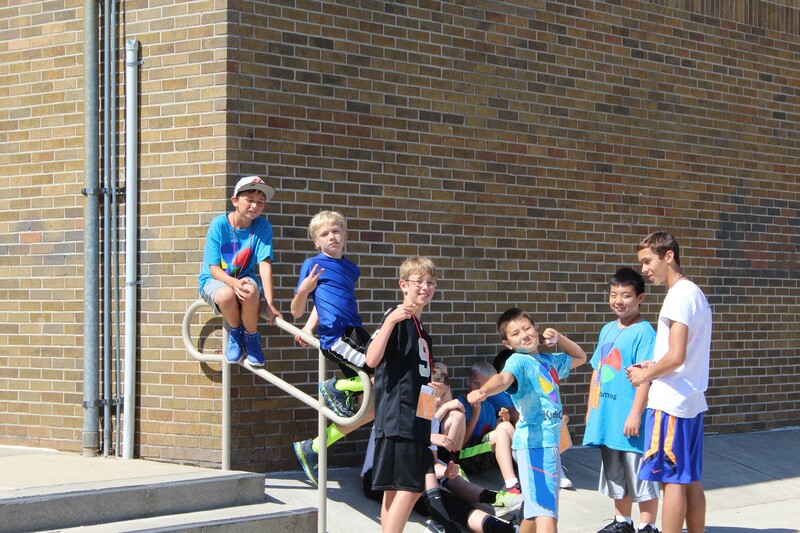 The second station is Drama, where kids get the teaching of Jesus through skits and videos. The last station City Link, is designed teach kids about ministering to other parts of the world. Each day a new missionary will give their testimony and sometimes do activities with them. This is where kids and mentors really connect. Each day the mentors share a well thought out lesson that will point kids towards God. A key tool in this process to help the kids share their faith is the Evangecube. It tells the whole story of how Jesus was persecuted and rose again. The majority of the time is spent on teaching kids a specific skill that they signed up for. 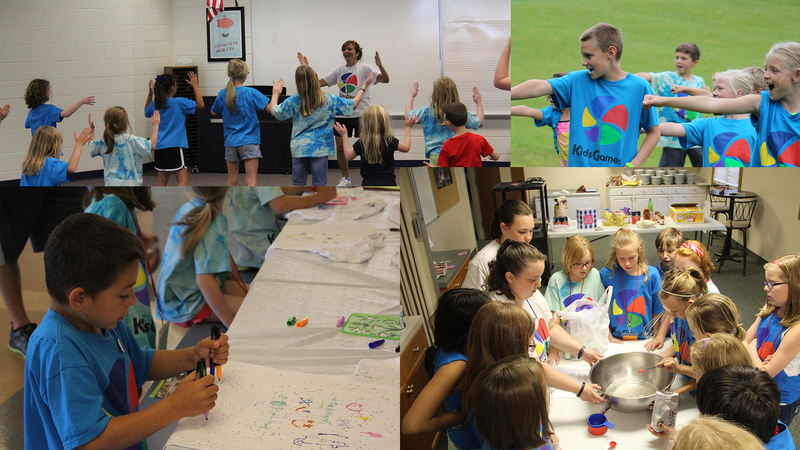 We have anything from sports, to photography, crafts, music, cooking and outdoor survival skills (find a full list of the tracks and descriptions below) The final day we have a celebration to show off some of what the kids have learned the week of KidsGames. Thursday, June 24 – FireTruck! Plan to pick up your kids and take them to the field by 12:40. The Byron Center Fire Department will bring a truck and spray their hoses near the field next to the parking lot. The kids love to run through the water and usually get soaked! Bring towels for the ride home! Come and celebrate what the kids have learned! We will have inflatables, a hot dog wagon, ice cream, games, and demonstrations from many of our tracks. Weather permitting, it will be a carnival atmosphere, outside on the field. And it’s all free! Plan to come and bring the whole family! New volunteers will have basic training, returning volunteers will have advanced training! 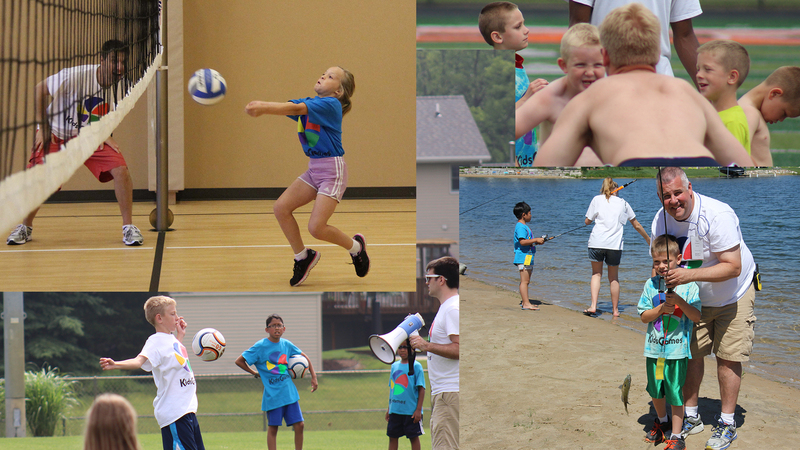 We would love to have your child/ren join us this summer. Please consider being a volunteer. Since this is a free based program we rely on over 100 volunteers to help facilitate the program. Basketball Learn the basics of the game with some friendly competition! Firetrucks in Action! * Visit the firehouse every day, see the equipment and learn what firefighters do. This track will walk to the BC fire station each day. Fishing* Learn to bait a hook and catch a fish! Football Learn to kick, pass, and catch a football. We’ll also play football!! Karate Kids will learn discipline and the art of karate with instructors from PAKS Karate. 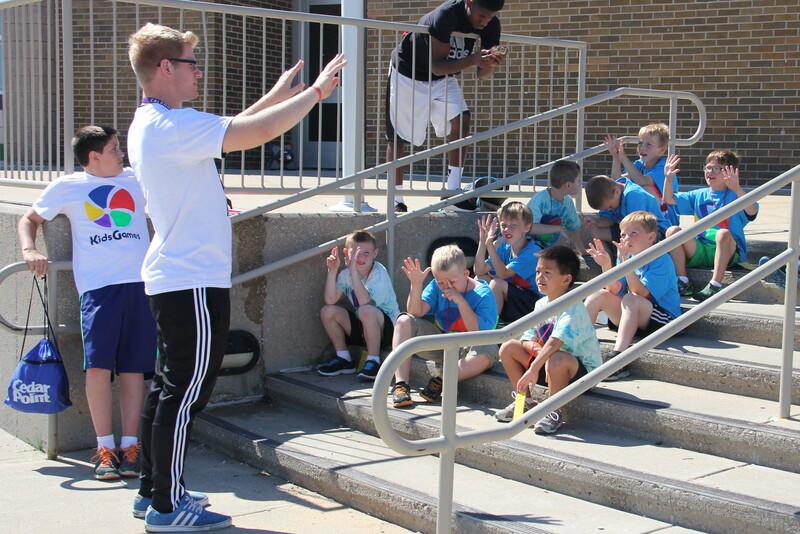 Soccer Learn the fundamentals of soccer and play soccer matches. Cooking* Learn the basics of cooking and kitchen safety with a certified chef! Disc Golf* Learn the basics of the game, play a different course every day! Discs provided. Ga-ga Ball Learn the finer points of this fast-paced game! Volleyball* Bump, set, spike! Learn the basics of this fun game. *These tracks may be transported off-site for some or all of their activities between 2:45 and 3:45.